If there's one thing I like more than cycling, it's bikes! There are so many different options available these days, from aero bikes, to sportive bikes, to adventure gravel bikes, to fat bikes. Then there are the beautiful bikes, perfect, if you just want a bike to meander about town on. If you don't live in the mountains and you're on a budget, then keeping it simple can get you a great bike for your buck. 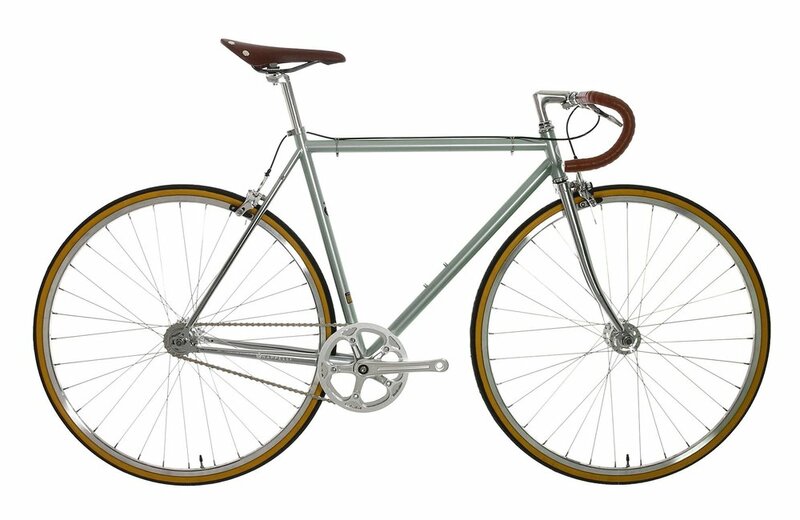 Or if you just want low maintenance and simple lines, then fixed gear is the way to go. We love the classic styling, leather trim and simple grey colour scheme. The gum wall tyres set off the plain deep profile brushed rims for a timeless look. Good quality components and the lugged steel frame show that you're paying for quality and simplicity that will really last. If your not completely racing focused but want something with a comfortable ride that is capable of holding its own in a race, then these steel framed bikes are worth considering. Steel is known for comfort, looks great and these days doesn't come with too much of a weight penalty so is perfect for the relaxed meanderer. Handmade in Italy with tech bringing steel into the 21st century, Condor will build to your specification and offer bespoke paint jobs and frame builds if you desire. Oh and did we mention it's beautiful? A good quality steel road bike from Genesis. We love the blue colouring and the high quality 105 groupset looks great in metallic. Rusby cycles make some of the most stunning custom bikes on the market. The price isn't cheap, but you'll get a bike for life that fits you perfectly and looks just the way you want. Canyon have managed to pull off some alternative styling with the Urban 8.0, the integrated stem giving the bike a unique look and the leather trim finishes it off nicely. The combination of a belt drive rather than a traditional chain and an internal 11 speed gear hub make for a near bombproof bike that is super low maintenance. A vintage looking bike from a vintage brand. The internal 5 speed hub will keep you set in most terrain, but still one for the city. 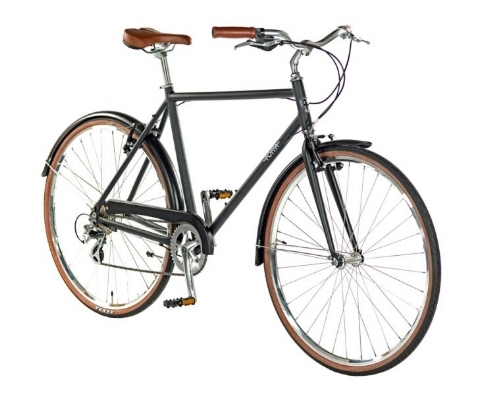 Fantastic value city bike from London based Foffa. A urban 8 speed run around for under 400 quid cannot be argued with! A slight variation on cyclocross bikes that people have been racing for a while now. You take a road bike, give it a bit more of a comfortable geometry, some fatter tyres and a go anywhere attitude and you have a bike that will take you nearly anywhere. These good looking options will see you cruise happily round the city, but not limit you to it. This is fantastic value for a steel bike built to order in the UK, Bristol based Temple have launched their new range which includes this truly versatile Adventure bike. Ideal for day rides, gravel rides, touring or commuting, it has all the fixings for front and rear pannier racks and clearances for up to 38mm tyres with mudguards. A chunky price tag, with a good chunk admittedly going on the funny looking lefty fork, but we cant help but love this odd beauty. The road geometry Ultegra groupset and 30mm of suspension make for a bike that's at home nearly anywhere on the planet. On One have built the award winning Pickenflick using lightweight titanium giving a comfy ride which will last a lifetime corrosion free. Seeing that its also spec'd out with top quality SRAM Force 1x groupset the price starts to look a bit more reasonable. Let us know in the comments if there's something you'd add to the list.